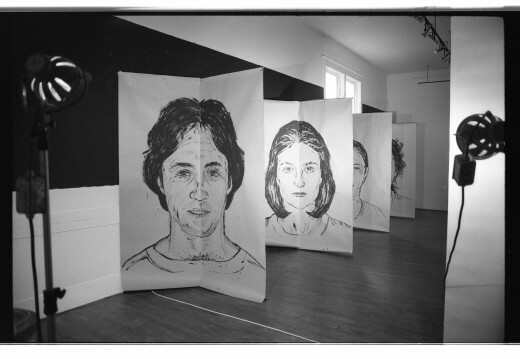 The artist drew two large portraits of each subject, from black and white negatives projected on the wall, flipping the negative half way through so each subject got a portrait with two right sides of the face and one with two left sides, revealing in some cases startlingly split personalities. 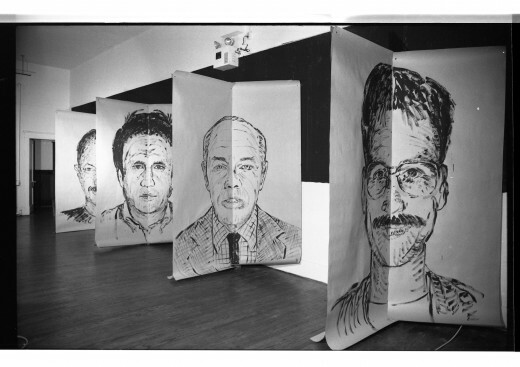 This exhibition also had a film component that ran in conjunction with the drawings entitled That’s Tantamation. 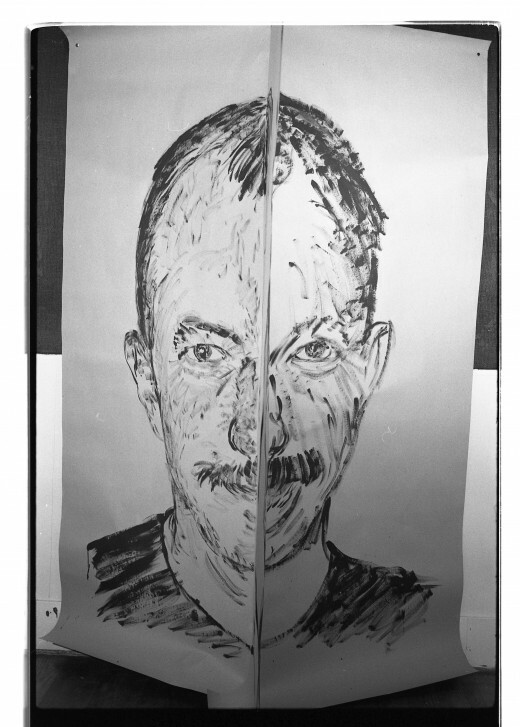 Image is of Ken Dollar’s large scale portraits of some of Western Front’s residents and “regulars” in the “Faces Front” exhibition. Portraits in order, Patrick Ready, Henry Greenhow, Eric Metcalfe, Martin Bartlett. 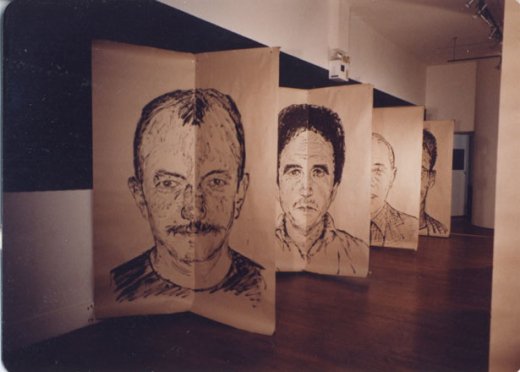 Image is of Ken Dollar’s large scale portraits of some of Western Front’s residents and “regulars” in the “Faces Front” exhibition. Portraits (first to last) Hank Bull, Jane Ellison, Glenn Lewis and Kate Craig. 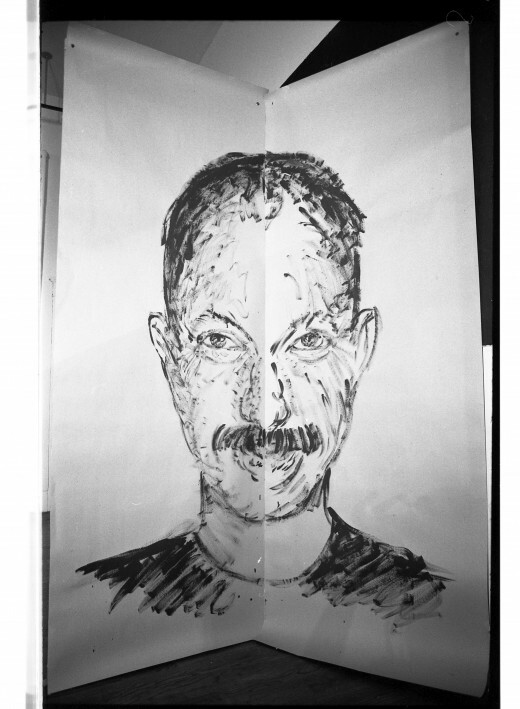 Martin Bartlett portrait by Ken Dollar, just ‘right’ version of face. 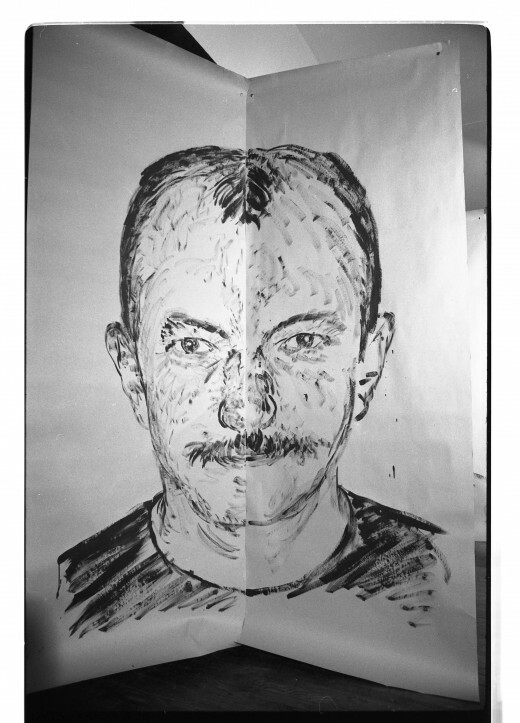 Martin Bartlett portrait by Ken Dollar, just ‘left’ version of face. Martin Bartlett portrait by Ken Dollar, full face.